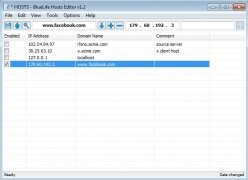 If you want to block the access from a computer or network to certain web pages, you can do so easily with this application. It offers us how to control which pages can be accessed. 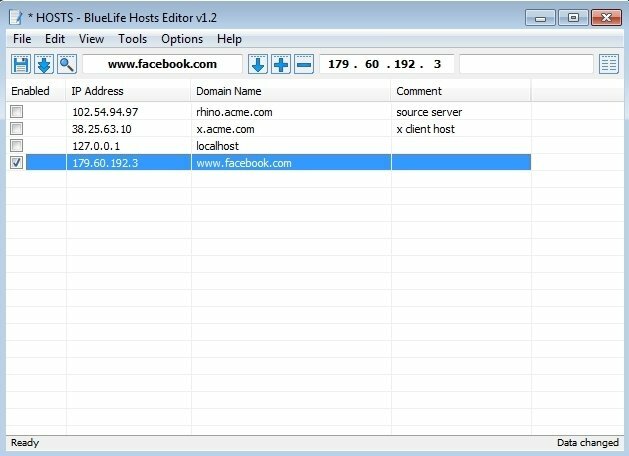 The interface of BlueLife Hosts Editor offers us the possibility to do so very quickly by just typing in the domain. The IP address will be automatically identified and we can choose to carry out the block by just ticking a box. We can add as many pages as we want, as well as being able to remove them at our wish. Access to any page under your control. How does BlueLife Hosts Editor work? When solving an IP address, the first thing this program does is avoid that the Domain Name System (DNS) is checked. 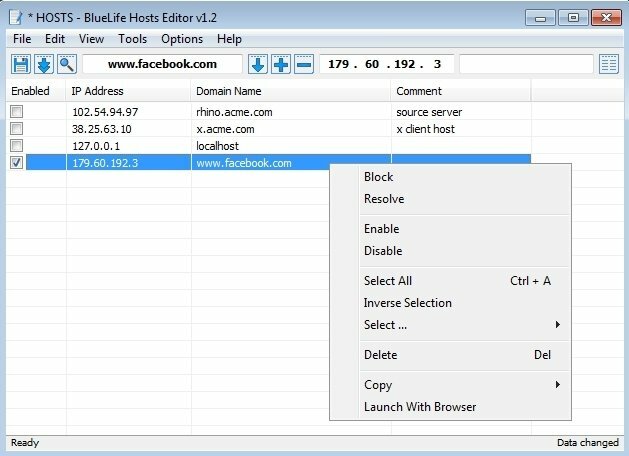 Instead, the host file located on the system is accessed and it's possible to detect whether the IP address (web page) that you intend to access is on a blacklist.